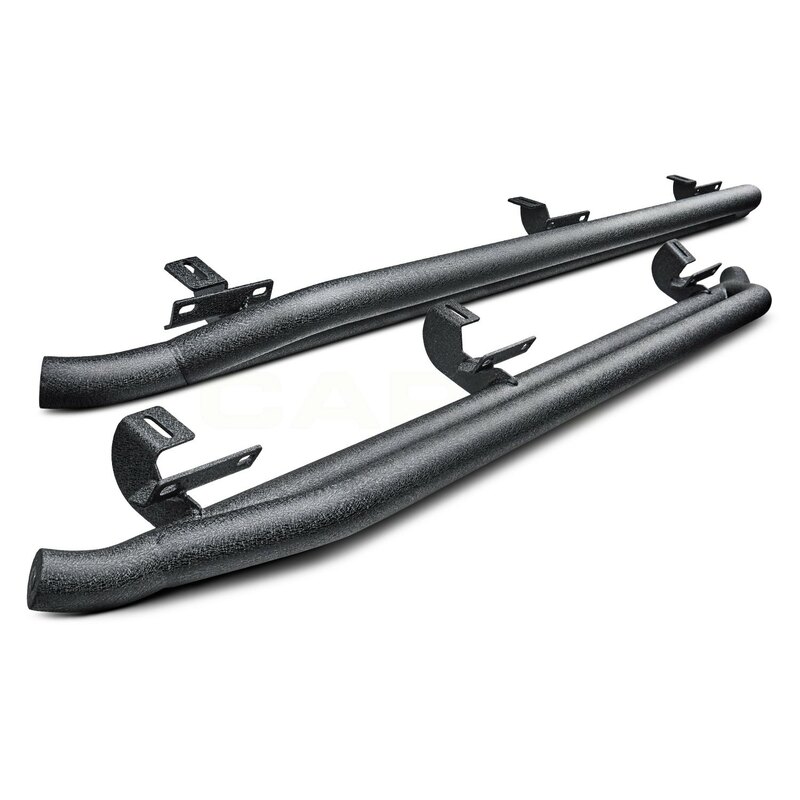 TrailBlazer Black Powder Coat Rocker Bars (42-4015) by Westin®, 1 Pair. Material: Mild Steel. These steel bars will keep your Wrangler sliding along those rocks instead of hanging up and digging into your Wrangler’s rocker panels. Black powder coated 2″ mild steel.